Macanudo Diplomat Cafe delivers smooth, mellow, and classic flavor in a short, stout 4 1/2 x 60 vitola. While Macanudos already have a great reputation for being velvety smooth, the Diplomat Café did not disappoint. Same rich flavor in a short package, make for a great smoke with a cigar that you don't have to be married to for an hour and a half. A great 20 minute smoke. 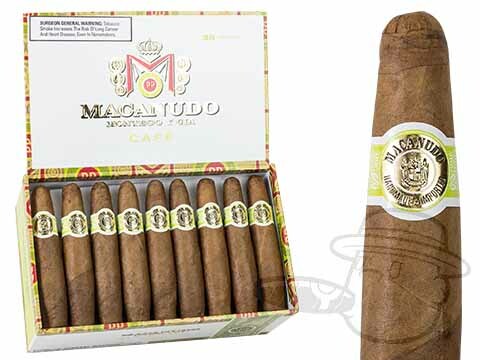 Macanudo Diplomat Cafe is rated 5 out of 5 based on 1 customer ratings.